New Delhi : Delhi Pradesh Congress Committee President Sheila Dikshit on Monday slammed the Aam Aadmi Party Government in Delhi for making false promises to the people of Delhi, and said that fake promise of providing electricity at half the rate was done in a bid to influence the voters with an eye on the coming Lok Sabha elections. 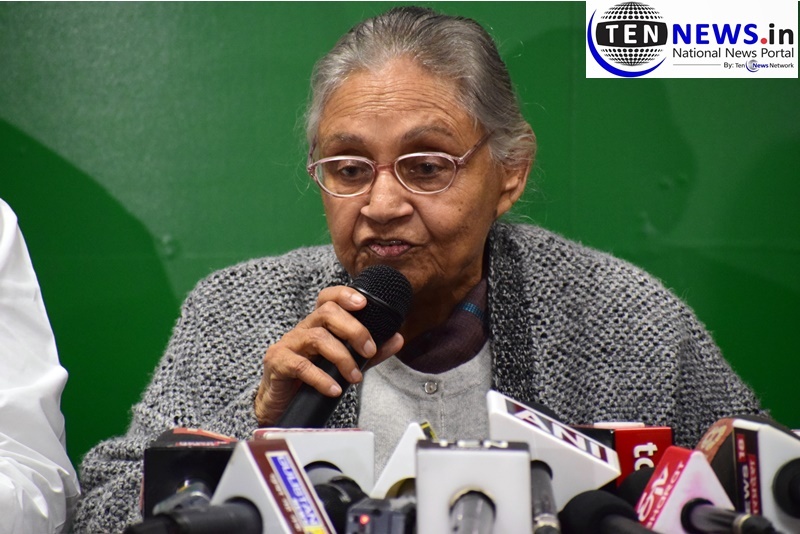 She said that the Aam Aadmi Party had employed the same fraudulent strategy before the Delhi Assembly elections four years ago, that “Bijli” will be provided to the consumers at half the rate, but reneged on its promise after coming to power in Delhi. She also said that after completing four years in office, the Kejriwal Government through newspaper advertisements have been claiming that “Bijli at half rate to the Delhi consumers”, but the reality is that “bijli” (power) has now become more costlier than ever before. Haroon Yusuf also addressed the conference where he said that despite collecting so much money from the power users on various heads, the Delhi Government has not bothered to ensure upgradation of the transmission lines and distribution network. Sheila Dikshit said that during the Congress rule in Delhi, the Delhi Government used to give pension to the retired employees of the Delhi Vidyut Board from its own account. But the Aam Aadmi Party Government is cleverly collecting the pension fund from the electricity users to give pension to the retired employees, which effectively amounts to “daylight robbery” on the power consumers.